Your teeth are composed of two main parts: The crown is the part visible above the gum. The root is the part below the gum that holds your tooth firmly in your jaw bone . 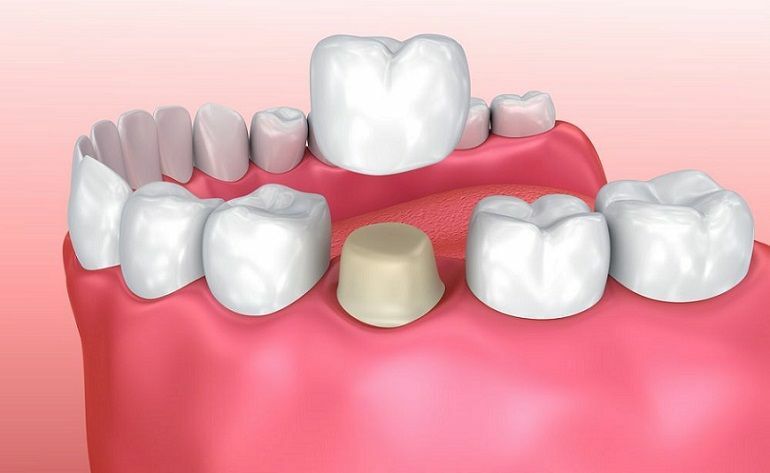 If the crown of your tooth becomes weakened by decay or fractures, it can be restored and strengthened by an artificial crown (cap). Artificial crowns are covers which fit over a damaged or badly stained tooth. They look and feel natural, requiring the same care necessary as your natural teeth. Talk to Dr. Frank today if you would like more information.